A MAN WHO killed his partner’s two-year-old son while in his care has been jailed for life after being found guilty of murder in Liverpool. Craig Smith (28), of Merseyside, was convicted of Teddy Tilston’s murder following a trial at the Liverpool Crown Court today. The court heard that Smith, who had been looking after the two-year-old, claimed to an ambulance crew that he had drowned in the bath. However, when they arrived, paramedics found him dead but his clothes and hair were dry. A full post-mortem examination was carried out on the child’s body, along with additional tests by a Home Office pathologist. While paramedics were dealing with the death of the two-year-old, his mother was Arrowe Park Hospital with his twin sister, who had suffered a head injury that day while in the sole care of Smith. Doctors were not satisfied with her explanation that the injury had been sustained by the child hitting her head against a table. Other injuries were discovered, many that had been inflicted some time earlier. The child’s mother, Ashleigh Willett (25), was also found guilty of child cruelty. She is due to be sentenced at a later date. Smith was sentenced to life in prison and he was told he must serve a minimum of 17 years before he can be considered for release. “After Teddy Tilston’s death, one of the paediatricians examined his body and found a catalogue of injuries which, in her view, were not reasonably explained by accidental causes,” Richard Riley from the Crown Prosecution Service (CPS) said. Neither Craig Smith or Ashleigh Willett could give a satisfactory account for the catalogue of injuries suffered by the twins. “The CPS said that, even if we assume that all the injuries were caused by Smith, then such is the number of injuries to both children that Ashleigh Willett must have known that the children were being ill-treated,” Riley said. 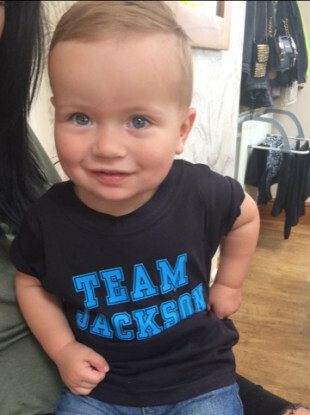 Email “Man jailed for life after murdering partner's two-year-old son in Liverpool”. Feedback on “Man jailed for life after murdering partner's two-year-old son in Liverpool”.